Matthias Hentze, a postdoc of the National Institutes of Health (Bethesda, Maryland, USA), joined EMBL Heidelberg as a Group Leader in 1989. He is an elected member of the European Molecular Biology Organisation (EMBO), the German Academy of Sciences Leopoldina, and an Honorary Faculty Member of the Victor Chang Cardiac Research Institute in Sydney (Australia). Matthias Hentze’s research contributions have been recognized in numerous ways, including Germany’s prestigious Gottfried Wilhelm Leibniz Prize in 2000, the 2007 Lautenschläger Research Prize of Heidelberg University, and the 2015 Feodor Lynen Medal of the German Society for Biochemistry and Molecular Biology. 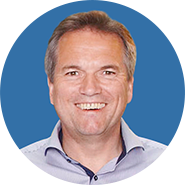 Matthias co-founded the US bio-tech company Anadys Pharmaceuticals, and now serves on many international scientific committees and editorial boards.